Dreaming of a Disney vacation? AAA Carolinas is an Authorized Disney™ Vacation Planner and an EarMarked™ agency, so our AAA Travel experts can help you book a world-class Disney experience. Soak up some sun and fun with Walt Disney World Resort hotels stays that are up to 30% off this spring! Book your trip today to lock in your savings! When you book your Disney vacation through AAA Travel, you get the added benefit of booking with an Authorized Disney Vacation Planner. What does that mean? 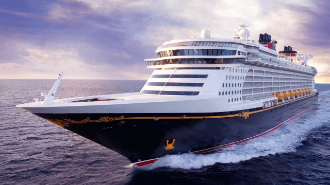 Unlike other agencies, our AAA Travel Consultants have extensive knowledge of Walt Disney World® Resort, Disney Cruise Line, Disneyland® Resort, Adventures by Disney® and Aulani Disney Resort & Spa vacations. This knowledge allows us to help you get the most for your budget and, most importantly, to customize a vacation that’s right for you and your family. Plus, all AAA Disney vacations come with a free subscription to TouringPlans.com. TouringPlans let you build a customized, optimized schedule to visit all the rides and attractions in the park. Your free subscription is a $14.95 value! 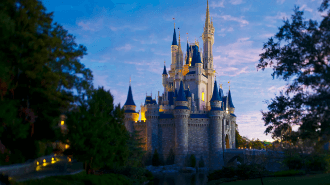 Discover the Walt Disney World® Resort, a magical place with four exciting Theme Parks, two incredible Water Parks, Disney Springs™ and 25+ themed Resort hotels. Bring your family on a vacation experience as big as your imagination. 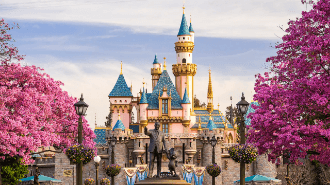 With its two amazing Theme Parks plus three Resort Hotels and the Downtown Disney® District, the world-famous Disneyland® Resort is where guests of all ages can discover wonder, joy and excitement. 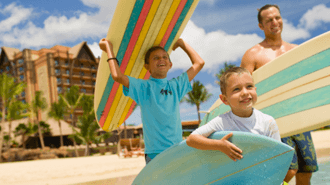 Discover a family paradise with a touch of magic at Aulani Disney Resort & Spa in Ko Olina, Hawai`i. There’s something for everyone to enjoy at this award-winning Resort, and so much is included with your stay! Delight in a dream Disney family vacation and gain a lifetime of memories with Adventures by Disney-a leader in guided group travel. Let us be your storyteller as we show you the way, taking you to the exciting destinations you want to visit. 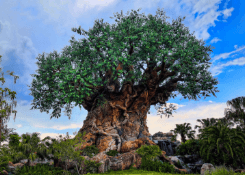 save you time, headaches and money on your Walt Disney World vacation. Purchase Disney tickets and receive special AAA Carolinas Member-only discounts and amenities that you won’t get anywhere else! Enjoy AAA Member savings on multi-day Disney tickets, plus get Member-exclusive savings on select separately ticketed special events and entertainment when you purchase in advance. AAA has been around for more than 100 years, so you know we’re here if you need us. With AAA Carolinas Travel, you’ll get a personal Travel Specialist who can help you each step of the way. And if anything goes wrong, we’ll do everything we can to make it right! AAA Vacations trips are built on Member feedback and preferences, where you can enjoy engaging activities and exclusive perks like guided tours, immersive dinners and behind-the-scenes visits. Member discounts at leading hotels and AAA Diamond ratings. Travel insurance developed to fit our Members’ needs such as trip interruption or cancellation, medical assistance while traveling, lost baggage and more. Best of all, AAA’s expert advice and planning is available at no cost to you! Ready to get started? Call AAA Travel at 800-444-8691 or Request a Quote. 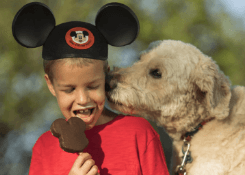 For the first time ever, Walt Disney World opened its doors to canines on October 15th, 2017. Dog lovers around the globe can now stay in select resorts and enjoy a vacation with their furry friends. 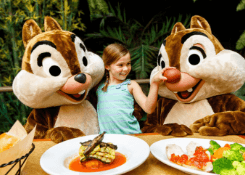 Is the Free Dining Offer at Disney Really a Deal? Disney just announced its popular Free Dining Offer for Walt Disney World. The Free Dining offer generates lots of headlines – and why not? – it’s free food! But is it really the best deal for you? 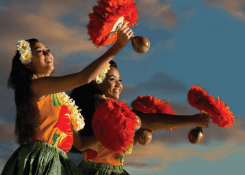 If you are thinking about a trip to Hawaii, your trip would not be complete without a luau. In Hawaiian, the word luau means “feast,” and traditionally marks a happy event such as a birth, graduation, or wedding. If you’ve never been to Disney World’s Animal Kingdom, you are genuinely missing a unique zoological experience. The park is centered around nature and animal conservation and celebrates all living things.